I thought it was about time I made a grown-up, boozy chocolate. 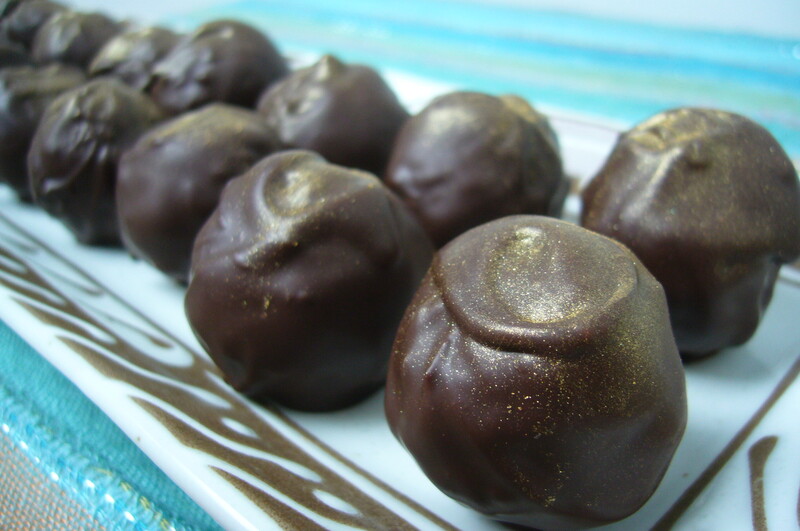 I used 7-year-old Havana Club golden rum and a bowlful of lychees to make these glittering delights. The shell is crisp and the centre gives way to you as you bite it. The rum hits you first – then the lychee subtlely comes through in a sweet, fruity, perfumed way. It was inspired by a cocktail I had a couple of months ago, though I can’t remember for the life of me where. This is a good combination – I think this one’s a keeper. Love the way you always come up with great recipes and equally mouthwatering photos! Yes, I’d love that, thanks! I’m based in Lancashire.